Last week at the Game Developers Conference I finally had a chance to go hands-on with the Magic Leap One for the first time. Then this week, Magic Leap announced you’ll be able to purchase its debut headset in certain AT&T stores starting in April, crossing from a niche product intended for developers to a (somewhat) consumer-facing product. Obviously Magic Leap didn’t intend for that timing to line up per se, but it did. Thus what was initially intended to be a few scattered thoughts about my demo now doubles as an informal purchasing recommendation. The short version: Augmented reality still isn’t ready for the masses—and it won’t be for a while. Design-wise, Magic Leap’s a bit more complicated than HoloLens. 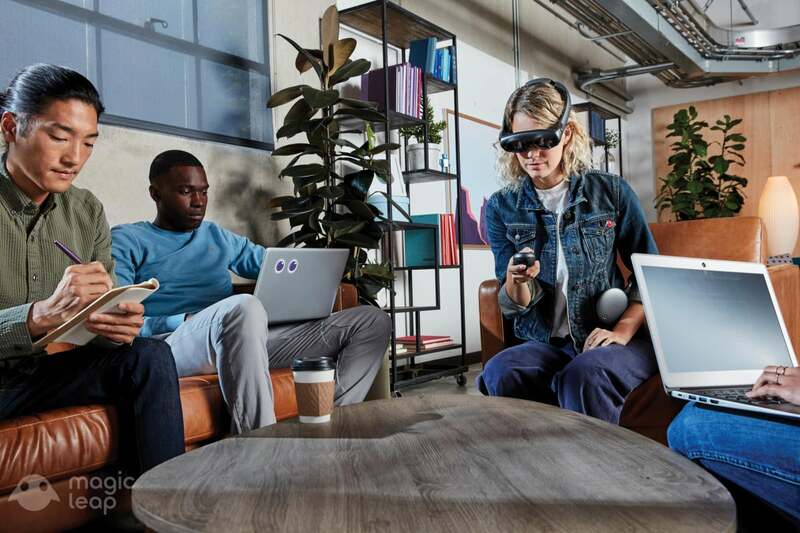 The headset itself is more comfortable, but mostly because it’s lighter-weight—and it’s lighter-weight because unlike HoloLens, Magic Leap isn’t entirely self-contained. A heavy (and hot) computer is contained in the “Lightpack,” a circular object that clips onto your belt or pocket and is tethered by a thin cable. There’s also a controller, which is less high-tech but far more reliable than HoloLens gesture recognition. At Unity’s booth, I demoed Weta Workshop’s Grordbattle experience. It’s a multiplayer extension of Weta’s singleplayer game, Dr. Grordbot’s Invaders—though without that context, I can say it played a lot like Oculus’s saloon shootout Dead & Buried. It’s a shooter, with four players trying to shoot each other from behind cover. 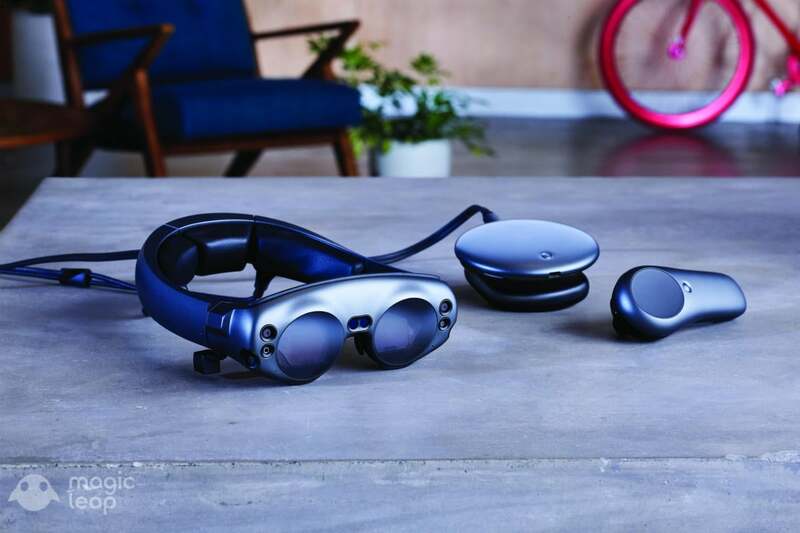 This being AR and not VR however, the Magic Leap’s lenses are transparent. Images are overlaid on the real world, essentially holograms that are visible only through the headset. Magic Leap seamlessly replaced the headsets (or heads) of my fellow players with a cast of science fiction characters, and replaced their controllers with ray guns. It’s not quite opaque, but Magic Leap is bright enough to fool the eye into thinking it’s seeing real objects. I even knocked into a pile of books at one point, subconsciously thinking it was a hologram. It wasn’t, and that’s the crux of augmented reality of course. Magic Leap rendered the heads and guns, but everything else was actually in the room. The boxes and barrels we took cover behind playing Grordbattle were actual boxes and barrels in the Unity booth. Magic Leap can recognize those items and react accordingly. We were shown, for instance, how tea spilled from a simulated AR teacup will splash on a real-life tabletop. When those moments happen, when digital interfaces with the real world so seamlessly? The “Magic Leap” moniker feels well-earned. The trick remains impressive even if you sort-of understand how it’s done. As far as first-generation tech goes, Magic Leap is damn exciting. But it’s very much first-generation tech. Think of the possibilities. That’s been the refrain around AR for years now. Imagine a game you can play anytime, anywhere, that uses the room you’re in as the setting. Or imagine doing maintenance work on your car, and your headset directs you step-by-step through every screw you need to install and every wire you need to connect. Or imagine an art exhibit you can interact with, that you can reach out and touch or even change as you walk past. These things exist. We have one of those art exhibits in San Francisco. It’s called The Unreal Garden, and it was installed here in San Francisco a few months ago by a company called Onedome, right on Market Street. It’s open to the public, and it uses HoloLens kits. You can go, if you’d like. Magic Leap’s field of view is admittedly better than what the original HoloLens offers, but not enough. You’re still constantly aware of the edges of the hologram field, whether because you’ve lost the top of someone’s head or lost the bottom of your gun, or because the tea you’re spilling onto the floor cuts off mid-stream. It’s distracting, even occasionally unsettling, and an effect that’s almost impossible to convey through words. 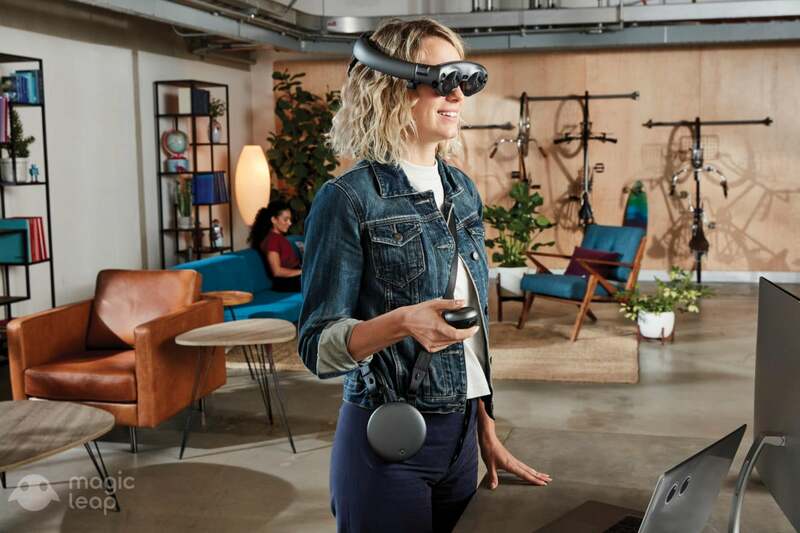 And it’s an effect Magic Leap, like Microsoft, seems to avoid highlighting. There’s a trailer for Dr. Grordbot’s Invaders, for instance, that makes it seem like your entire living room is going to become a playpen for robots, and that you’ll be plunged into this incredible and immersive experience fighting for your life. Again, I haven’t tried Invaders, only the multiplayer component. That said, you’re likely to spend most of your time looking for one of those robots, and then when you find it you’ll only be able to see it in pieces, scanning your head up and down to take in its form. People often dismiss phone-based AR, but headset-based AR isn’t really much different. Either way, you’re stuck looking at objects through what feels like a six-inch rectangle in front of your face. It doesn’t really detract from AR’s potential, nor does it make Magic Leap feel less “magic” the first time you wear one. Augmented reality is amazing—and as I’ve said in the past, probably has more day-to-day uses than virtual reality ever will. As a motorcycle rider, for instance, I’m interested in AR’s potential for HUDs. Right now the only options for driving directions are to mount the phone to your handlebars or rely on audio instructions, neither of which is a perfect solution. A helmet that projects GPS “onto” the road though? Amazing. Or, the example I used above, being able to fix a problem by following step-by-step instructions overlaid on the bike itself. That’s a really neat idea! Demoing AR with a game is innately less interesting to me than the real-world applications, but there’s potential in that realm as well. The technology’s not there yet though, especially for games, a medium that relies on immersion. Microsoft pivoted HoloLens 2 to factories and other utilitarian cases where field of view doesn’t matter as much, and it’s a smart move. Magic Leap, HoloLens, they just don’t make sense as consumer devices yet. And they won’t for a while. They’re expensive, with Magic Leap coming in at an eye-watering $2,295. The technology is limited. The software library is even more limited. It just doesn’t make any sense, and to be completely honest I don’t know why AT&T’s putting them in stores. I can’t imagine anyone who’s interested in Magic Leap is going to buy one after getting a store demo. It’s very much a “you either know you need this, or you don’t need it at all” sort of device. In my mind, we’re at least five, maybe even ten years out from that changing. Again, this isn’t meant to be a takedown of Magic Leap or the work the company is doing, just as our HTC Vive Pro review wasn’t meant to drag down that headset either. In both cases, it’s just a matter of asking “…why?” There are market realities, and if $1,200 is too much to pay for the best VR headset available (with a large and well-established software presence), twice that amount is an absurd ask for Magic Leap. Go try it, sure. Demos will hit AT&T stores in Boston, Chicago, and San Francisco next week. Just be aware it’s very much a prototype of a technology that might be life-changing someday in the future. I hope Magic Leap sticks around long enough to see that potential realized, but it doesn’t mean you need one in your house. Not yet anyway.